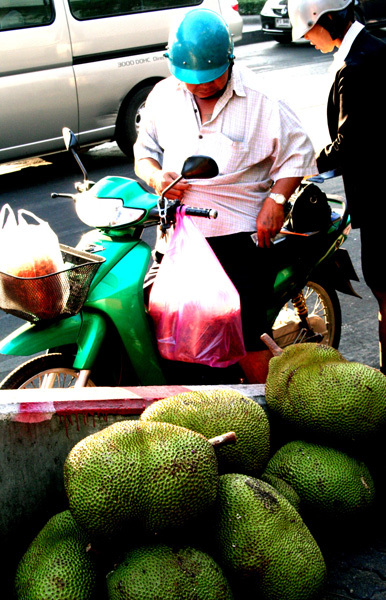 Not life forms from an alien planet, not genetic abnormalities- these are simply jack fruit, the world’s largest fruit. Inside the knobbly green shell are pods of dark-yellow flesh. Though the smell is a little strong and the flavor off putting, it can be cooked in delicious curries, and baked into tasty crisps.